Member dues are due by April 26, 2019. 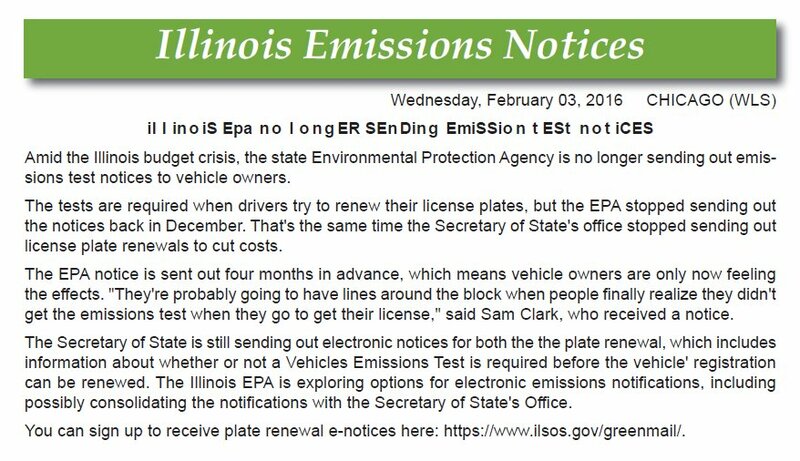 Anyone who has not paid dues will no longer receive the newsletter and will be removed from the email database. 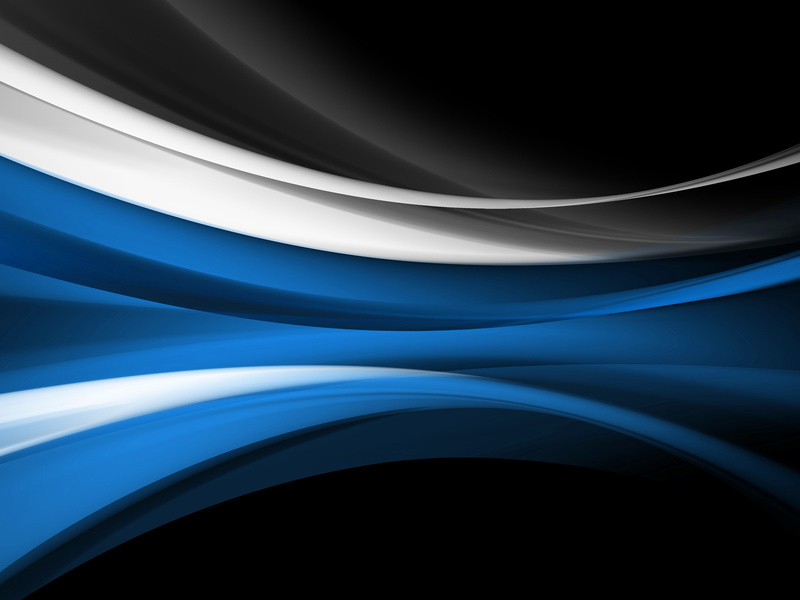 Facebook page or our website for rain out cancellations. 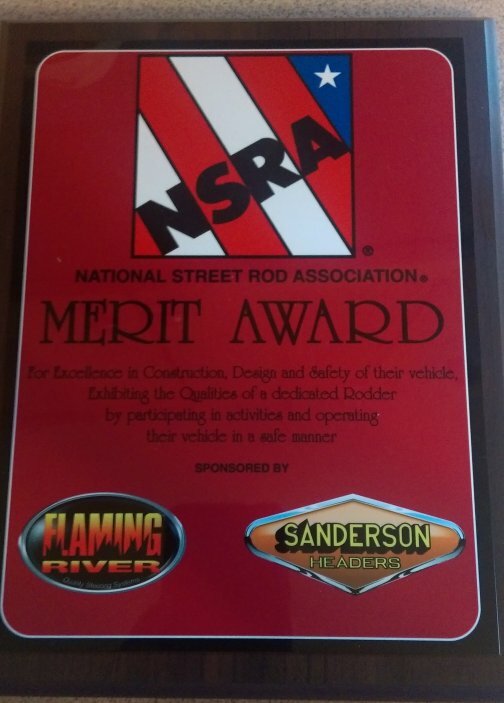 Above: Candace Hanley, local Rep of National Street Rod Association, presents FCC with a Merit Award for our continuous excellence for hosting Cruising Frankfort series of events. 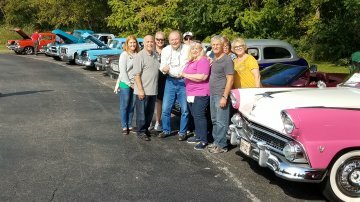 Alex Zacek, the young gentleman in the center, stopped by our stage on last cruise night to give Frankfort Car Club thanks for the Scholarship he received from us! 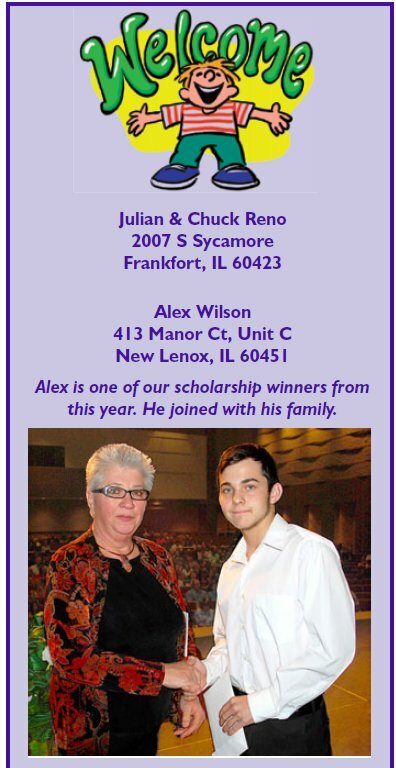 Alex is taking automotive technology classes at Southern Illinois University in Carbondale, IL. He just finished his first year there! 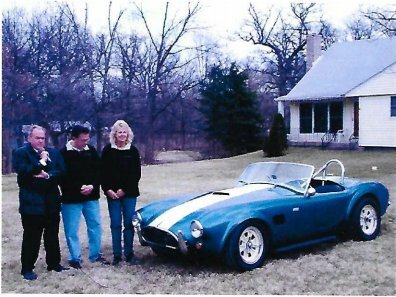 He is posing with our members: Pat and Sharon above. 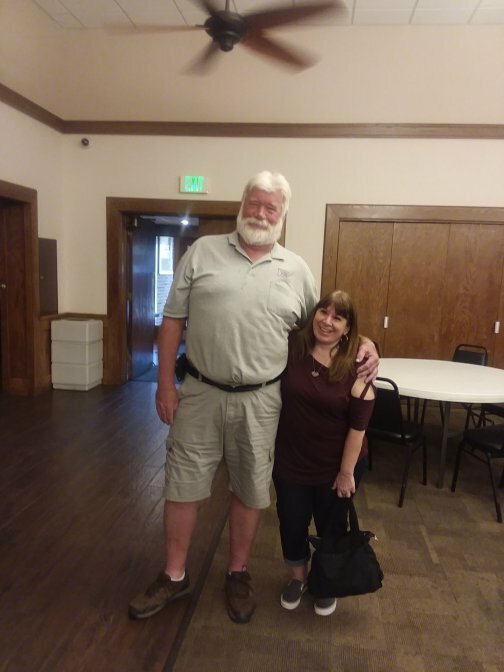 Right: The power of our members comes in all sizes! 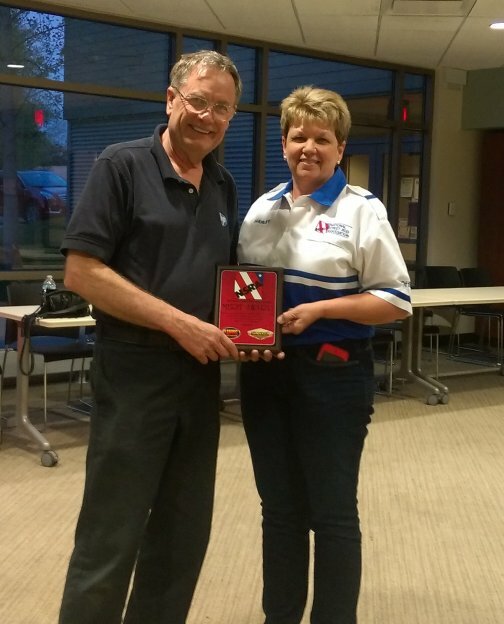 15 years of service with the Frankfort Cruise Nights. 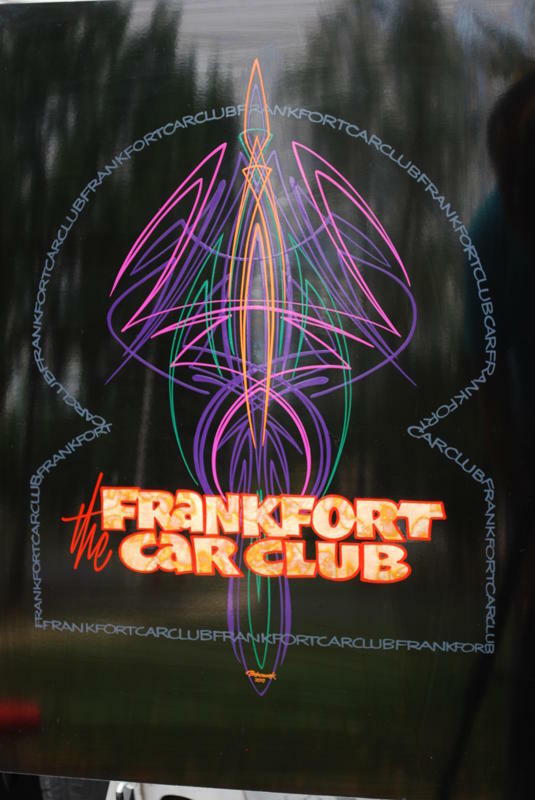 2018 Frankfort Car Club is coming soon. 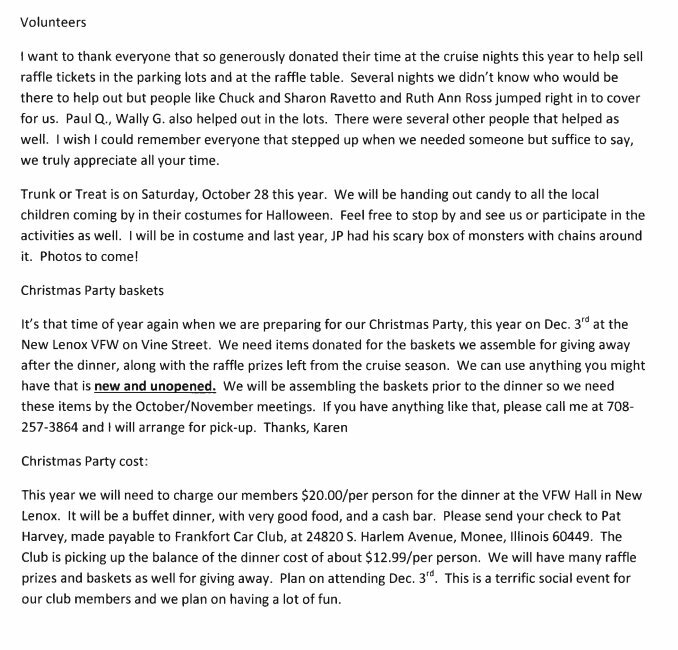 We are hoping to get more volunteers this coming season to help with our car cruises and events. We need more participation from our members. Please sign up as a volunteer at our next meeting on January 10, 2018! 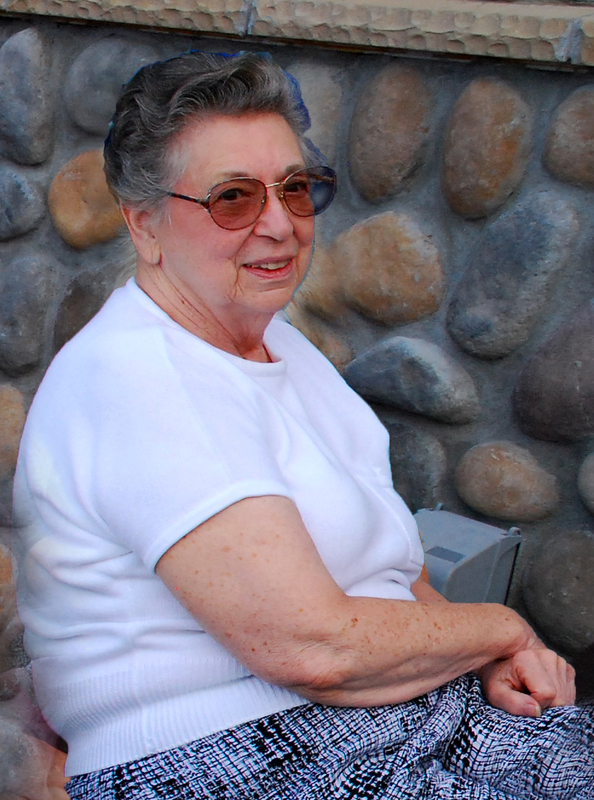 Helen Pathe passed away Monday night 1/15 - she has been very ill recently. John chose not to have a public service for her, but he welcomes any phone calls from us. Our sympathies and compassion go out to John. 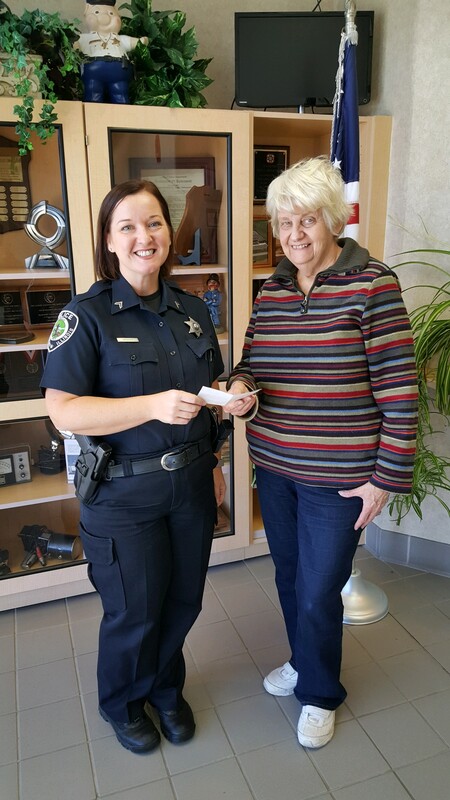 The Pathe's have been long time members of FCC; We believe the last FCC event Helen attended was the 2016 Christmas party. She will be greatly missed. Witch at 2017 Trunk or Treat! 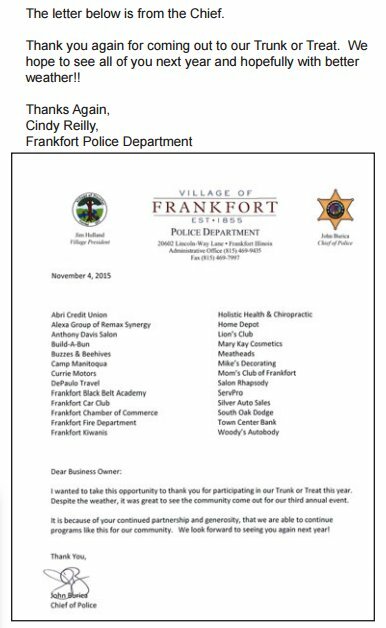 Frankfort cadets to Officer Bender. looked forward to working with us next year. 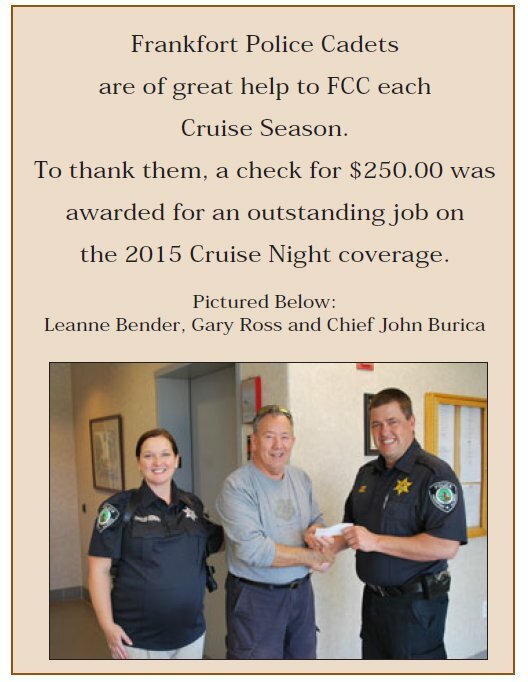 “Chews to Cruise” Food Pantry Cruise was a huge success!! Thank you to all who participated and who donated! We appreciate everyone who helped pulled this together and made this a terrific event! We appreciate each and everyone of you! 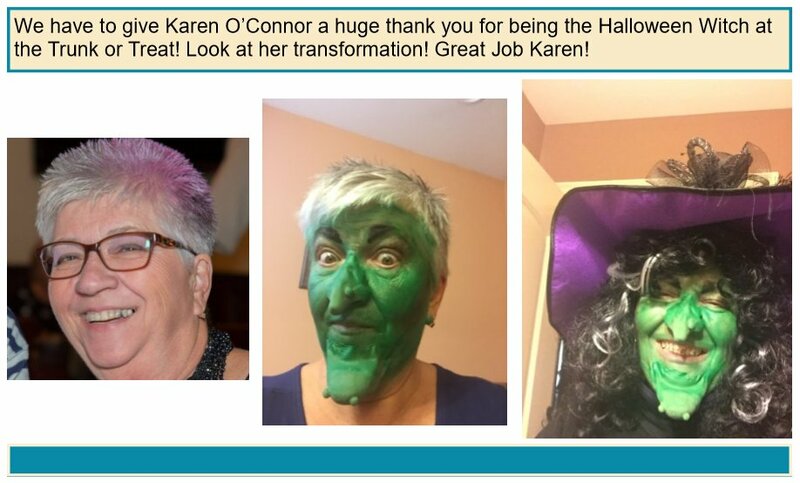 << To the left is a photo of Sharon, Jeannine and Chuck. 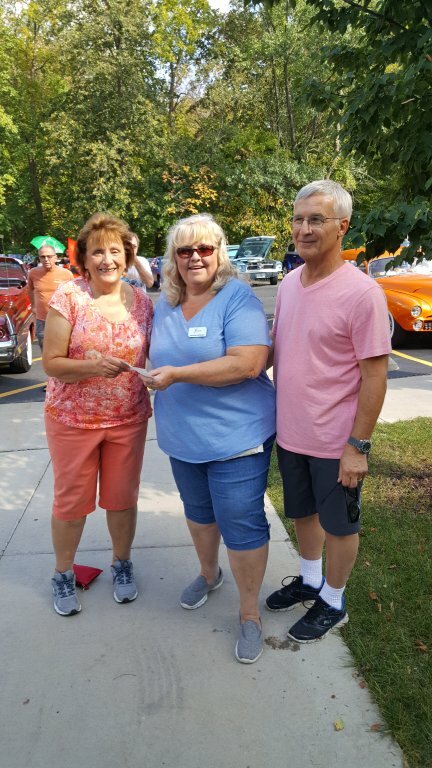 Sharon and Chuck representing FCC presented Jeannine from the Frankfort Food Pantry, with a check for $1,000.00 on September 24,2017, at the "Chews to Cruise " event. We send our condolences to our Webmaster and Newsletter Editor, Rosa Acevedo on the passing of her beloved husband and one of our members, Eddie Acevedo. His wife, Rosa will continue to drive his 1972 Plymouth Roadrunner to Car Cruises, Car Shows and events in his honor. Eddie will greatly be missed. May he cruise with the angels! 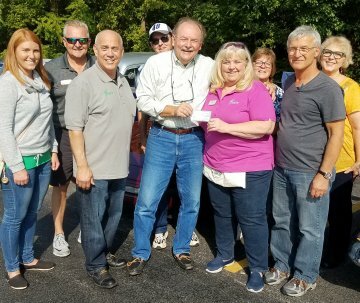 Frankfort Car Club in the August Meeting motioned and approved a donation of $250.00 to Independence Car Club for their Back to School Event that took place on July 29, 2017! 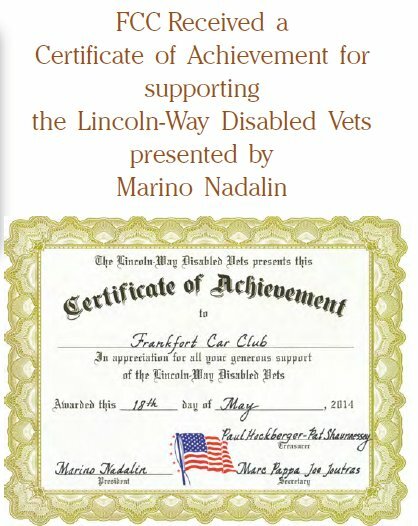 According to Brenda (President) and Rosa (Vice-President) of Independence Car Club, our donation helped make their event a huge success! 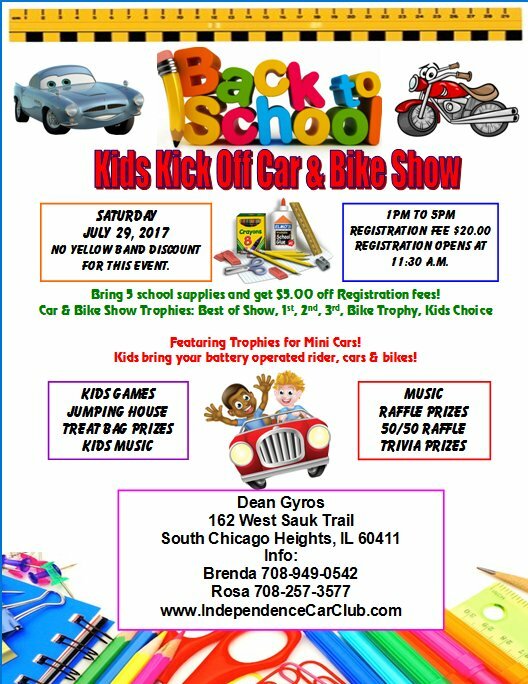 Every child that went to their event left with a book bag full of school supplies! 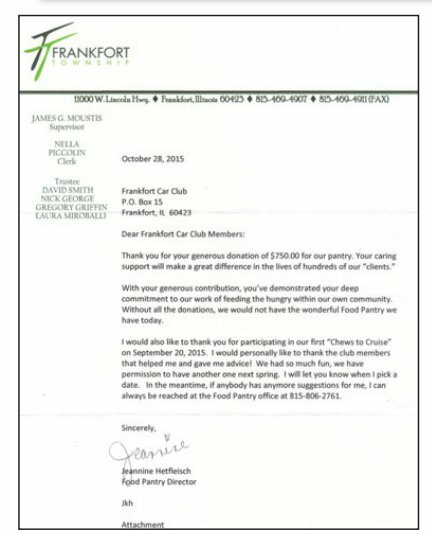 Independence Car Club sends a huge thank you to FCC!! See more photos at www.IndependenceCarClub.com. 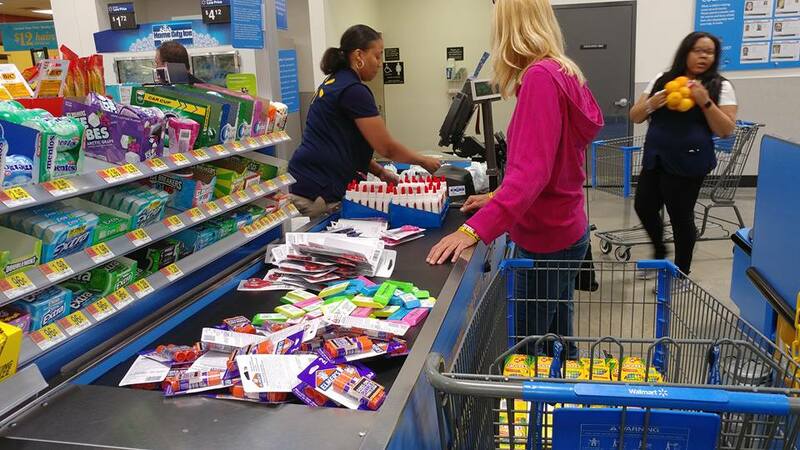 The book bags had the saying “Bullying Stops Here”. 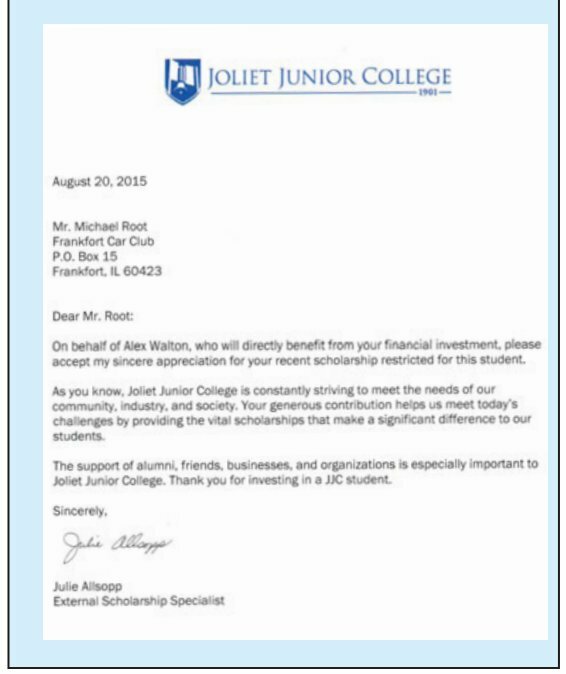 Do you know of a student 14 years old to 18 years old that needs community service? 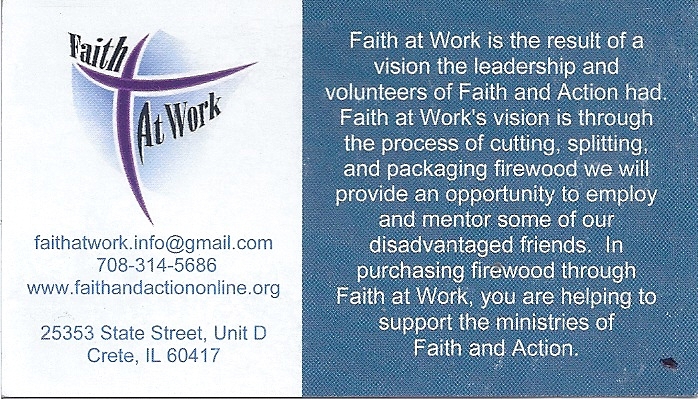 Contact John Brink at 708-314-5686. Please read below they have a Firewood cutting, splitting and packaging program where students can get their community service hours! 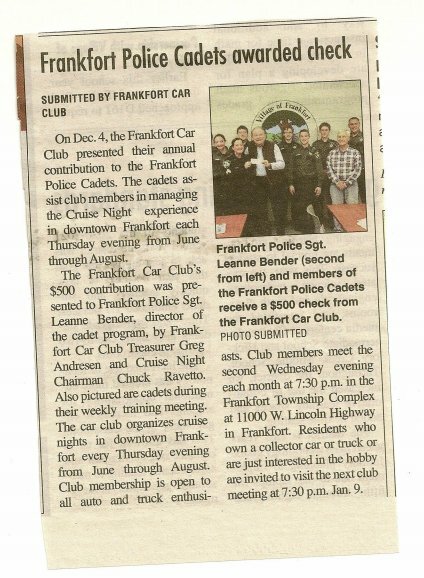 Frankfort Car Club donated $250.00 to Independence Car Club for their Back to School Event that was on July 29, 2017!! 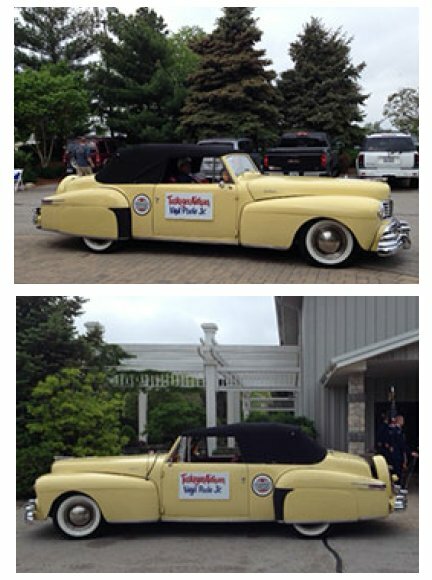 Independence Car Club sent us a huge thank you for helping make their event a huge success! Every child managed to get a book bag full of supplies and they were able to purchase extra supplies to box and give them to local schools in low income areas for the students that are not able to get all the supplies they need!! 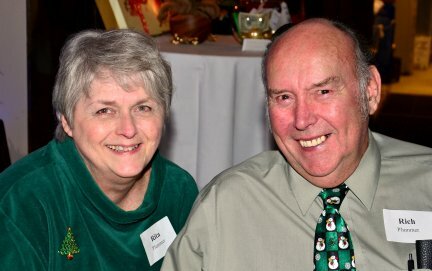 Our sincerest condolences goes out to the Plummer Family. 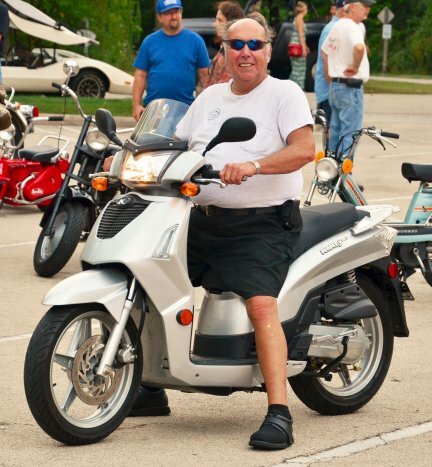 FFC member Rich Plummer passed away on November 21, 2016. He will be greatly missed. 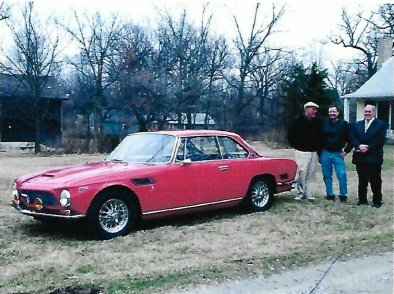 Our sincerest condolences goes out to the Santoni Family. passed away. He will be greatly missed. Jerry D. Santoni, age 73 of Frankfort passed away Thursday, Oct. 6, 2016. Beloved husband of Theresa M., nee Worden. 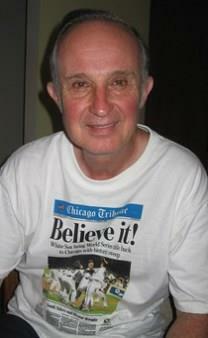 Loving father of Jerry, Jr. Dear brother of Robert of San Diego, CA, the late Dennis and Thomas G. Santoni. Fond uncle of Thomas E., Victor, Dennis, Jr. and the late Vincent. 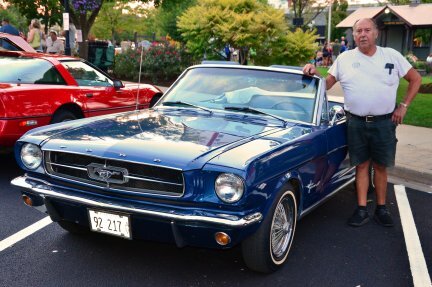 Marist High School teacher for 33 years, classic car enthusiast, hammered dulcimer musician and avid bowler. 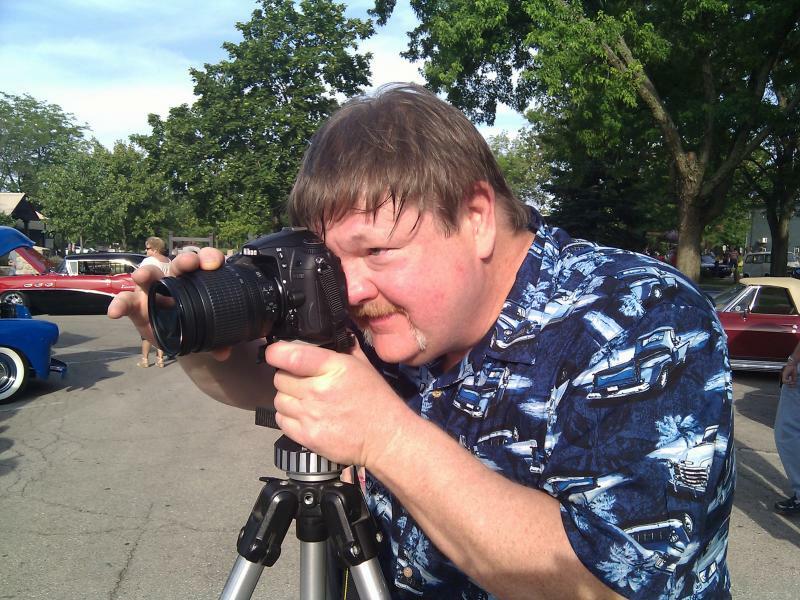 Funeral Tuesday, Oct. 11, 9:00 a.m. from Blake-lamb Funeral Home, 4727 W. 103rd St., Oak Lawn to St.Anthony Church, Frankfort. Mass 10:00 a.m. Interment Good Shepherd Cemetery, Orland Park. Visitation Monday, Oct. 10, 3:00 - 9:00 p.m. In lieu of flowers memorials contributions in Jerry's name may be made to the Pancreatic Action Network, www.pancan.org. Info 708-636-1193 or www.blakelamboaklawn. 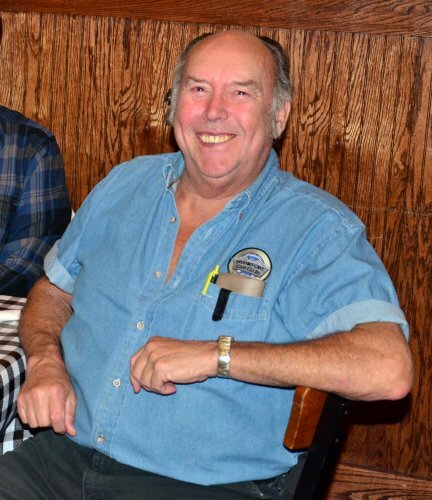 Our sincerest condolences goes out to the Hossbach Family. 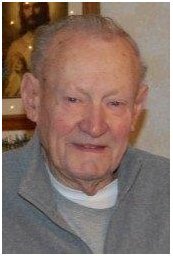 Wilbur Herbert Fredrick Hossbach (Willy) age 90, of Frankfort, born to Henry and Viola Hossbach of Frankfort on December 8, 1925 and passed away peacefully on September 23, 2016. He married Lois (Cooper) in 1947 and they moved to the family farm in Frankfort where he farmed all his life. He was a loving father, grandfather and great-grandfather. He is survived by his loving daughters, Audrey (Carlton) Yoshioka and Diane (Bill) Been: grandchildren, Shane (Nicole) Been, Dirk (Cee) Been, Nicolas (Kerrie) Been, Billie Jo (Wes) Larsen, Zachary Yoshioka, Jami (Mike) Ribaudo and Sylus Been; 13 great-grandchildren; brothers Norman (Betty) Hossbach and Wayne (Carol) Hossbach; sister Evonne Fedak; sister-in-law Sally (Marvin) Cooper; many nieces and nephews. 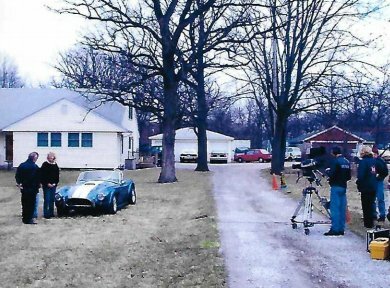 He was preceded in death by his wife, his parents, his sister Marian (Howard) Seemann; in-laws Marvin Cooper and Carol Hossbach, niece Debra, nephew Gary, and great-granddaughter Olivia Larsen. Willy was a life-long farmer and active in numerous farm activities. 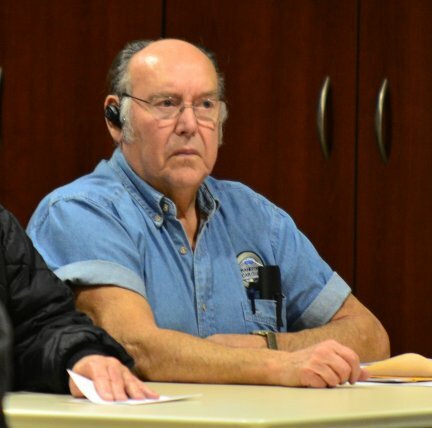 He also was an operator of heavy equipment and retired from Local 150. He served as member/president of the Frankfort School Board and was an active Frankfort Volunteer Fireman. He was a life-long member of St. Peter’s U.C.C. in Frankfort. 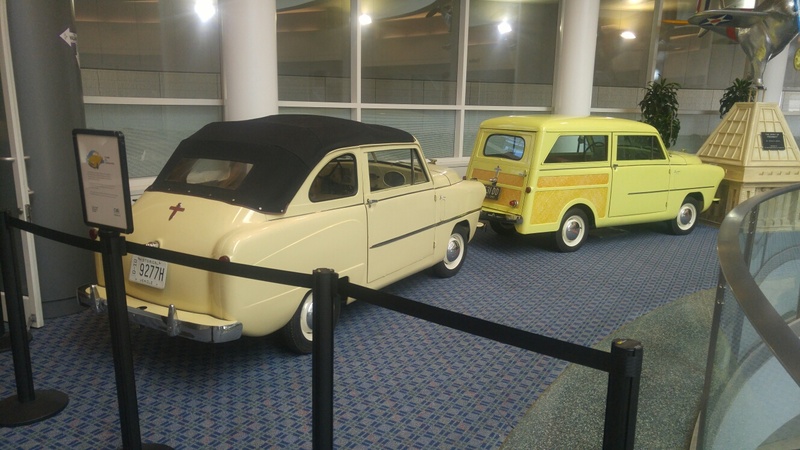 He loved antique vehicles and built his own collection. 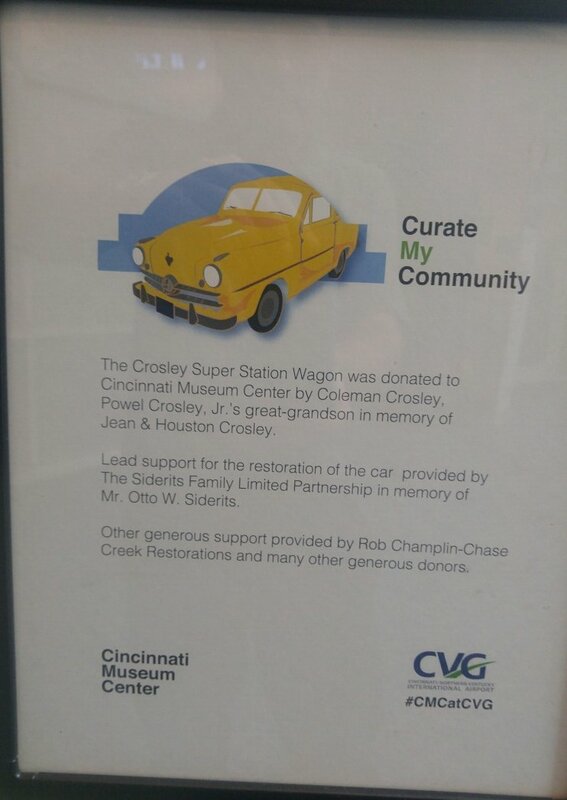 He restored them and shared them with others at parades and Cruise Nights. 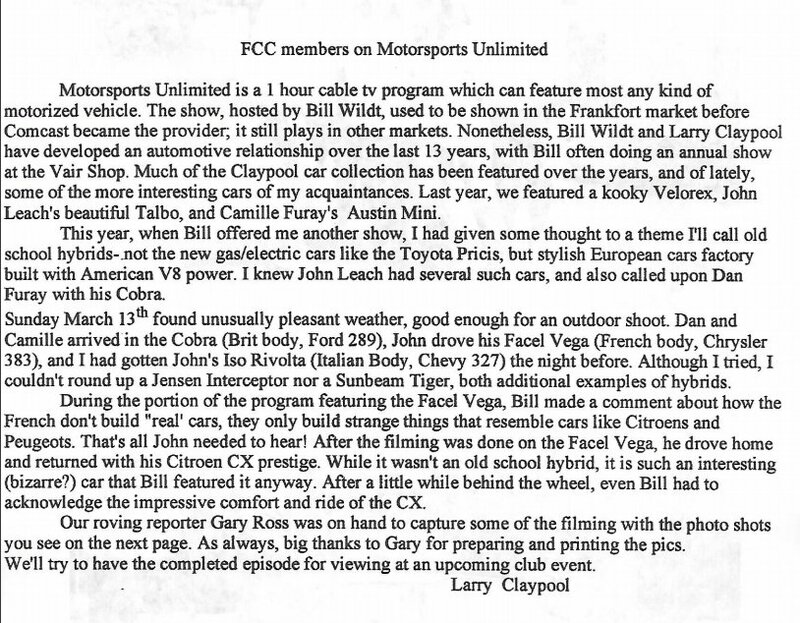 He was active in the Frankfort Car Club. He supported Lois in her many activities and found himself folding newspapers, setting up quilts and numerous other “honey-do” tasks. 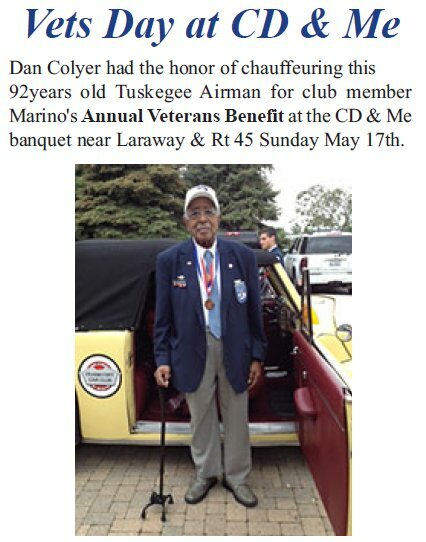 He was active in bowling, golf leagues and snowmobiling—and a family champion at dominoes! 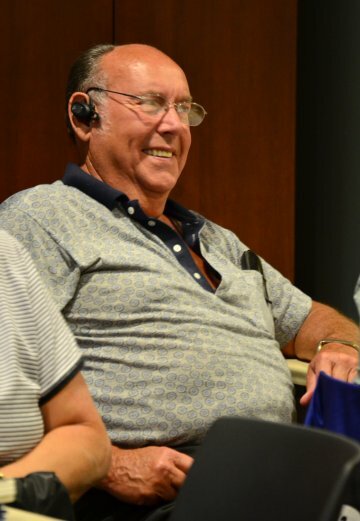 He enjoyed traveling on cruises and Farm Bureau Tours. He always enjoyed finding out about other farmers! He was happiest when the crops looked good and he could help someone. His generous spirit and energy will be missed. Memorials requested to St. Peter’s United Church of Christ in Frankfort or to the family for a charity of their choice. Visitation Monday, Oct 3 from 3-8 PM at Gerardi Funeral Home Lincoln Hwy at 95th Ave (1 block east of LaGrange Rd on Rt 30) Frankfort, Illinois. Visitation Tuesday, Oct 4 at St. Peter’s in Frankfort from 9:30 AM until the time of the services at 10:30 AM. Interment Skyline Memorial Park Monee, Ill. For funeral information, please call 815-469-2144. 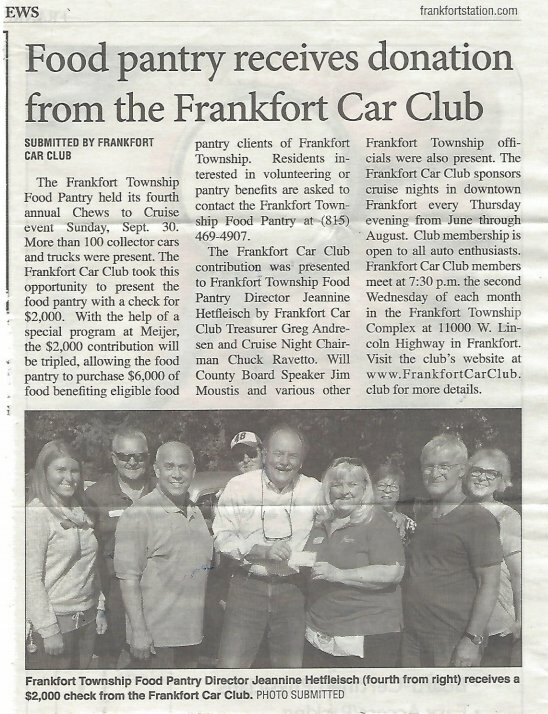 Frankfort Car Club donates $1000.00 to Camp Quality Illinois on June 8, 2015!!! 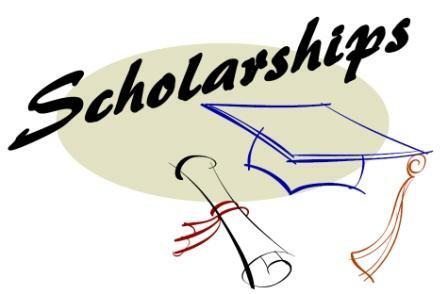 2014 FCC Scholarships have been awarded! 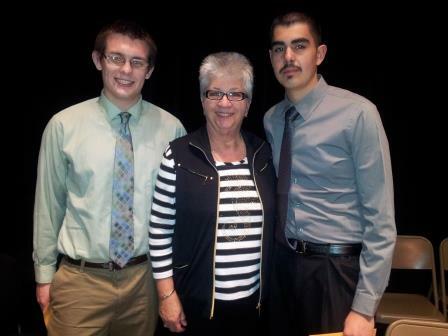 Karen O'Conner presents scholarships to Cole Claypool (L) and Asraldo Botello (R), both from Lincolnway North. 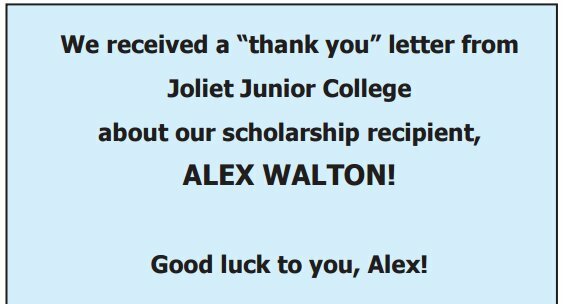 2 other scholarships were awarded, John Nystrom at Lincolnway East, and Vincent Caponigro at LW Central. 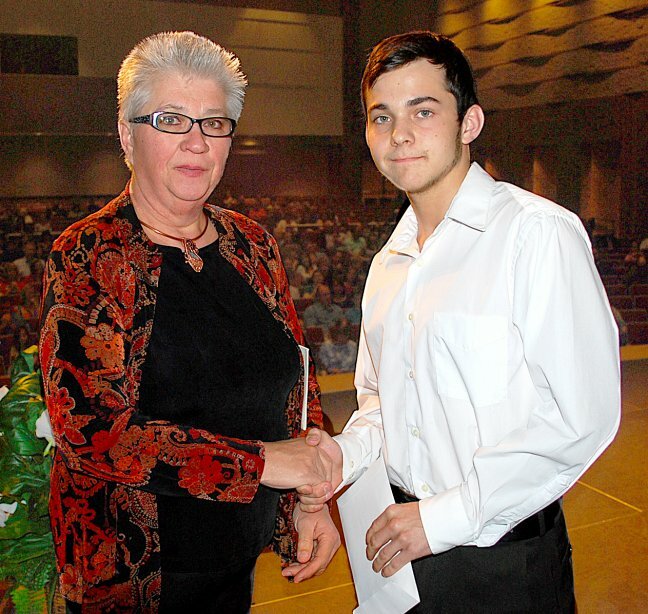 Each winning student received $1000.00 towards further education. 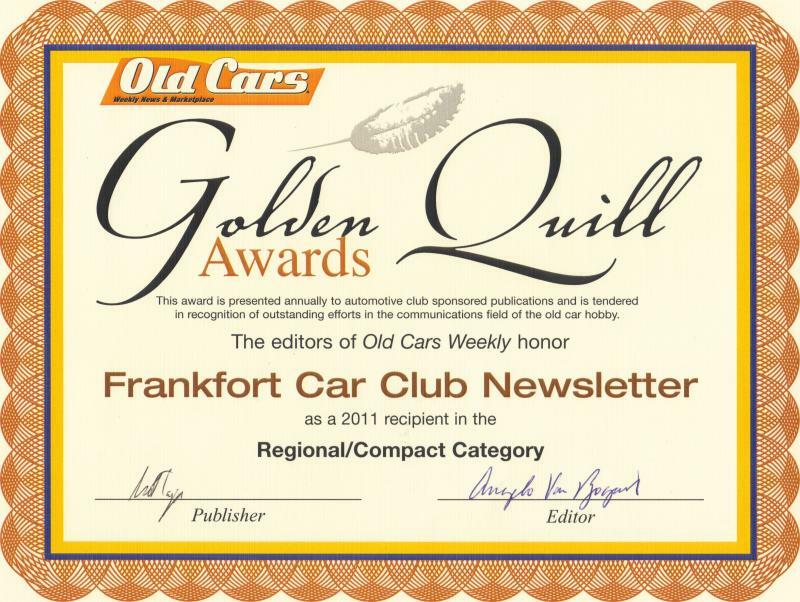 Congrats Congrats to FCC newsletter editor Doris Bernier for scoring a win in Old Cars Weekly newsletter competition 3 years in a row! Special Thanks to Our Photographers Gary and JP!! Ace Pinstriper Bob Behounek presented the club with a plaque reflecting his work which is now permanently mounted in the meeting room at the township building.